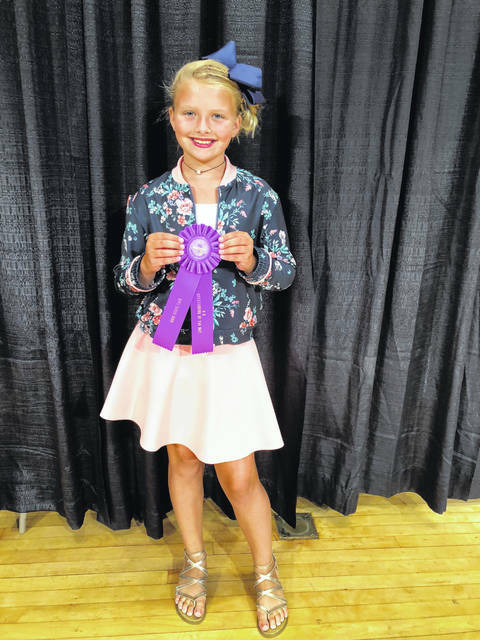 Cali Kirkpatrick won an “Outstanding of the Day” in the 4-H Sew Fun Sewing Category at the 2018 Ohio Star Fair in August. Cali’s project was judged against other 4-H members across the state on construction, the seven clues of fashion, and her project book. She is a member of All-N-One 4–H club and a fifth grade student at Miami Trace Elementary. Cali is the 10-year old-daughter of Brent and Sarah Kirkpatrick. 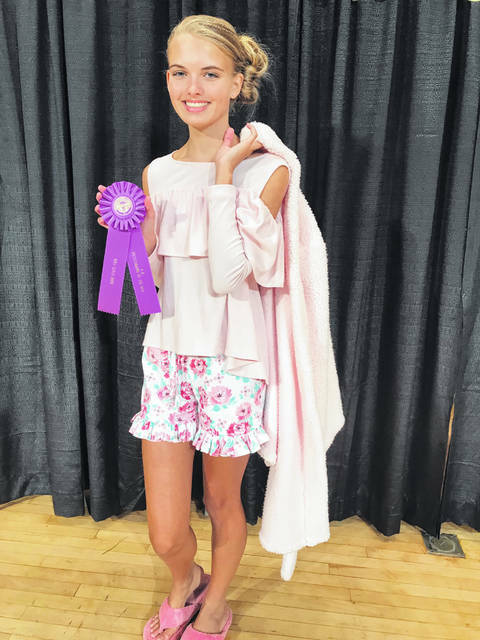 Hidy Kirkpatrick won an “Outstanding of the Day” in the 4-H Loungewear Sewing Category at the 2018 Ohio Star Fair in August. Hidy’s project was judged against other 4-H members across the state on construction, the seven clues of fashion, and her project book. She is a member of All-N-One 4–H club and a freshman at Miami Trace High School. Hidy is the 14-year-old daughter of Brent and Sarah Kirkpatrick. https://www.recordherald.com/wp-content/uploads/sites/27/2018/08/web1_ADBDB012-C905-4AEE-98D8-9582079CAC7D.jpegCali Kirkpatrick won an “Outstanding of the Day” in the 4-H Sew Fun Sewing Category at the 2018 Ohio Star Fair in August. Cali’s project was judged against other 4-H members across the state on construction, the seven clues of fashion, and her project book. She is a member of All-N-One 4–H club and a fifth grade student at Miami Trace Elementary. Cali is the 10-year old-daughter of Brent and Sarah Kirkpatrick. https://www.recordherald.com/wp-content/uploads/sites/27/2018/08/web1_4A18E289-0427-4AB7-B9C4-F8402F3DB47A.jpegHidy Kirkpatrick won an “Outstanding of the Day” in the 4-H Loungewear Sewing Category at the 2018 Ohio Star Fair in August. Hidy’s project was judged against other 4-H members across the state on construction, the seven clues of fashion, and her project book. She is a member of All-N-One 4–H club and a freshman at Miami Trace High School. Hidy is the 14-year-old daughter of Brent and Sarah Kirkpatrick.